Let Willow Run at Mark Center provide the backdrop to your ideal life. 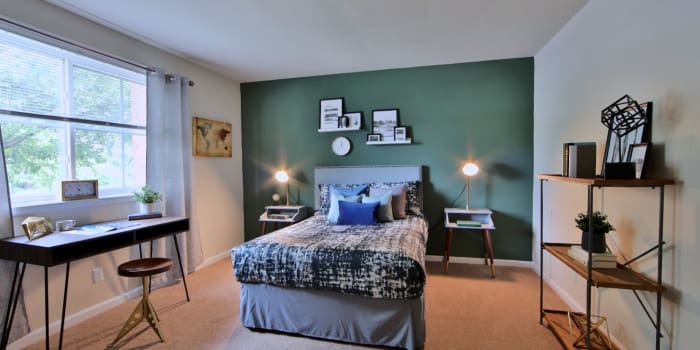 If you’ve been searching for a beautiful suburban apartment in Alexandria, Virginia, we can’t wait to welcome you home. With generously sized living spaces ranging from 847 – 1,550 sq. ft., your new apartment has plenty of space to accommodate your furniture as well as your life. Fully backed by Morgan Properties and our meticulous 101-point inspection, each of our homes is guaranteed to be move-in ready. We want you to feel at home and at ease in your living space at Willow Run at Mark Center. That’s why our homes are crafted with your wellbeing in mind. To ensure your total comfort, each home offers an open floor plan, generous square footage, and plush wall-to-wall carpeting. If you’re the chef in the house, prepare fresh and tasty meals in your fully equipped kitchen, furnished with premium appliances, updated cabinetry, and a timesaving dishwasher. When you want to unwind, enjoy the peace and quiet outside on your private balcony or patio. 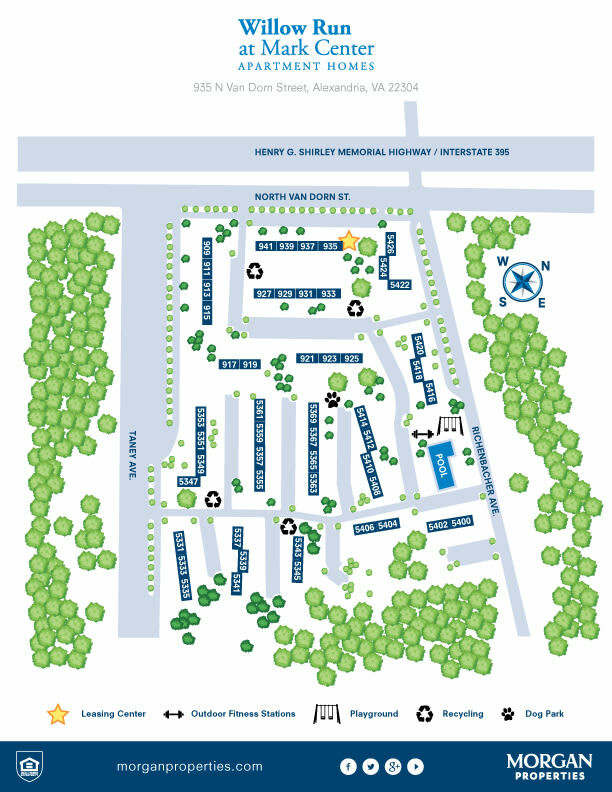 Floor Plans Ranging from 847 – 1,550 sq. 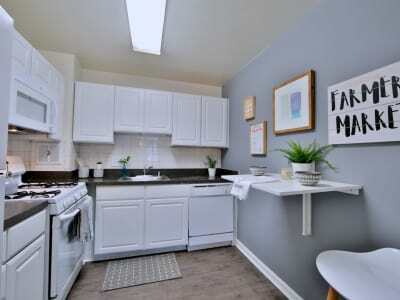 ft.
For a beautiful home with updated features, look no further than Willow Run at Mark Center Apartment Homes. Contact our team to set up a personalized tour of our Alexandria, Virginia, apartments.